Sensitive Parts is the fourth narrative feature film from unabashedly personal diy-auteur Brendan Prost, which reunites many of the collaborators from his previous feature Spaces and Reservations and his award-winning short film Getting There. Shot around Metro Vancouver during the spring of 2015 on a modest self-financed budget, Sensitive Parts is a tender, sharply observed dramatic comedy about how the lingering consequences of people’s interpersonal history can sabotage even the most solid of relationships. When an an insecure young woman, Dolore, introduces her new boyfriend to her long-time best friend and discovers that they have a less-than-platonic personal history, her insecurity and interpersonal fears get kicked into hyperdrive and threaten to destroy both relationships. But, with a little help from the imaginary manifestation of her pop star alter ego, Dolore learns to combat her paranoia and anxiety before they consume her and the people she loves. 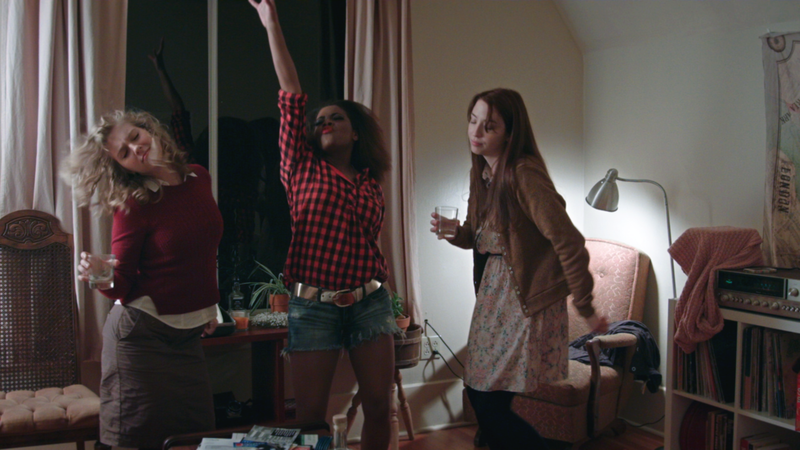 Bounding effortlessly between outlandish situational humour to resonant character drama—and back again—Sensitive Parts is ultimately a hopeful dramatic comedy about finding courage and self-love, the resilience of female friendship, and the possibility for self-transformation in the face of emotional crisis.